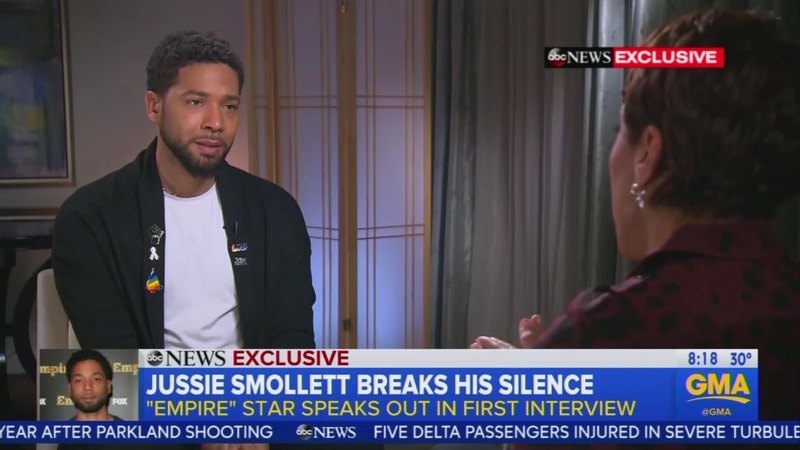 ABC previewed their exclusive interview with actor Jussie Smollett on Thursday, his first interview since the alleged hate crime he recounted to Chicago police two weeks ago. While host Robin Roberts did ask the actor about the controversial aspects of his story on Good Morning America, she did not refer to the attack as “alleged” even once. Instead, she asked him to teach us all what we could “learn” from the alleged experience.